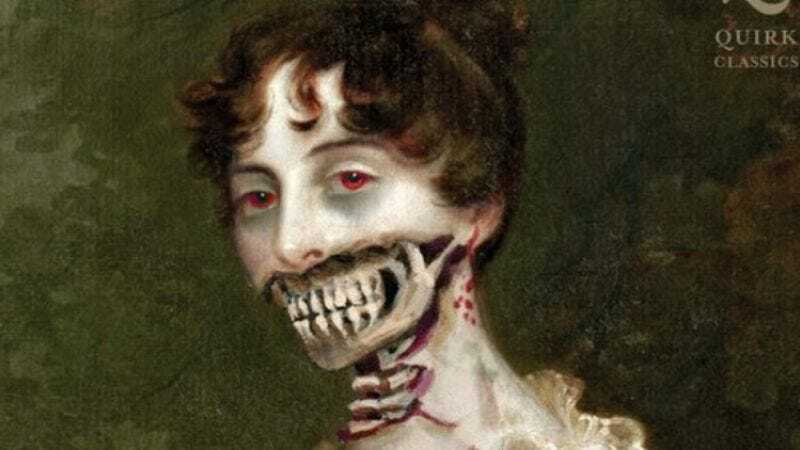 Like the undead staggering back to life to be juxtaposed against a classically romantic setting because this is inherently amusing, Pride And Prejudice And Zombies is back on, refusing to be laid to rest or cease its monstrous testing of the gentry’s politesse, with monsters. Nearly three years after David O. Russell first turned his back on the Seth Grahame-Smith adaptation—a spurning that condemned the film to be ever alone, courted then abandoned by directors Mike White and Craig Gillespie—Variety reports that Burr Steers has nobly made known his intentions to spare it from ignoble life as an old maid, its corsets never knowing the touch of a martial arts zombie battle. Admittedly, Steers is a man of lesser stock that includes the Zac Efron movies 17 Again and Charlie St. Cloud—but then, a thrice-rejected monster mash-up cannot choose its suitors. It must be gracious, and similarly keep chin up that Mirror Mirror star Lily Collins has accepted the role of Lizzie Bennett that was turned down by Natalie Portman, Emma Stone, Anne Hathaway, Scarlett Johansson, Blake Lively, and Mia Wasakowska before her. It must take solace in sisterhood wherever one may find it, even if it’s in the least popular of two mediocre Snow White movies, even if taking these names means its standing is diminished. After all, its once-favored Seth Grahame-Smith sibling Abraham Lincoln: Vampire Hunter already made its way into the world, only to find its fortunes quickly dashed. Pride must carry on for honor and family, because this is the proper way of things, plus zombies.